I made my first visit to the Far East in 1966. If there is such a thing as a past life, I discovered it there. There are several events that have stuck with me for the past 40 years plus to validate those happenings. 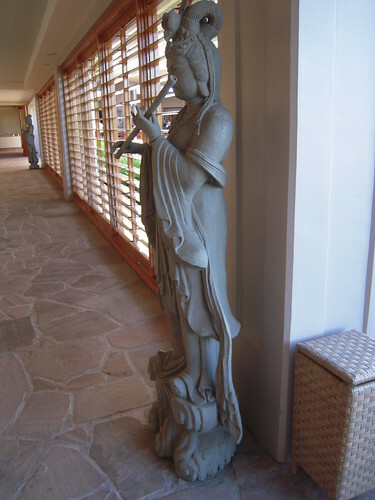 One of those uncanny situations revolved around statues in various forms throughout my travels. 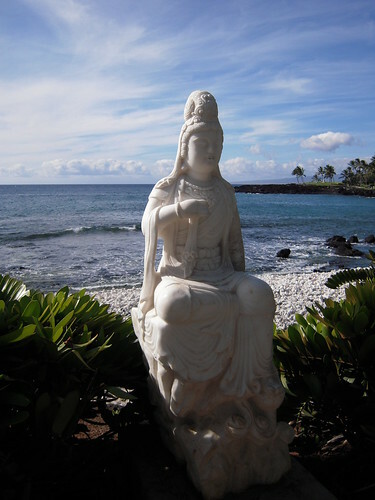 It wasn’t until years later when I moved to Hawaii, that I discovered the significance of Kwan Yin (Guan Yin, Quan Yin) in all her various poses. I began this month of posting everyday with a short post on Mitzvah, stating that I am not of the Jewish faith, so I want to say I am not of the Buddhist faith, either. There are elements of both that I find valuable and incorporate into my own faith, however. 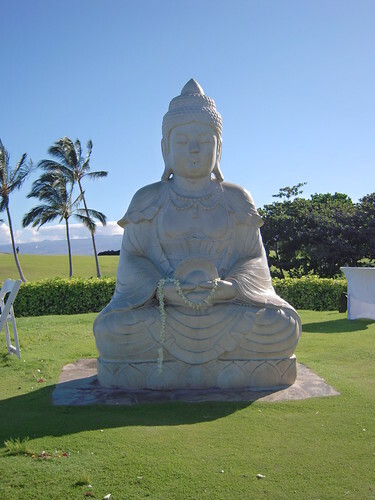 So it is in keeping with the blogging theme of this month that I return to Kwan Yin, the goddess of compassion, a bodhisattva who continues to teach me more about being a spiritual female. I am a retired United Methodist minister who uses meditation in several forms. So I feel free to let Kwan Yin guide me in my inner evaluations. When I need to hear it, she reminds me to be compassionate with myself as well as others. She reassures me that unconditional love, what we preachers call “Grace”, is for all people, including myself. She is a constant reminder that the blessings of human kindness, or Mitzvah, connect us all. Most of all, she reveals the feminine face of God, and allows me to experience my faith in ways that are more meaningful in my life, ways that are real. 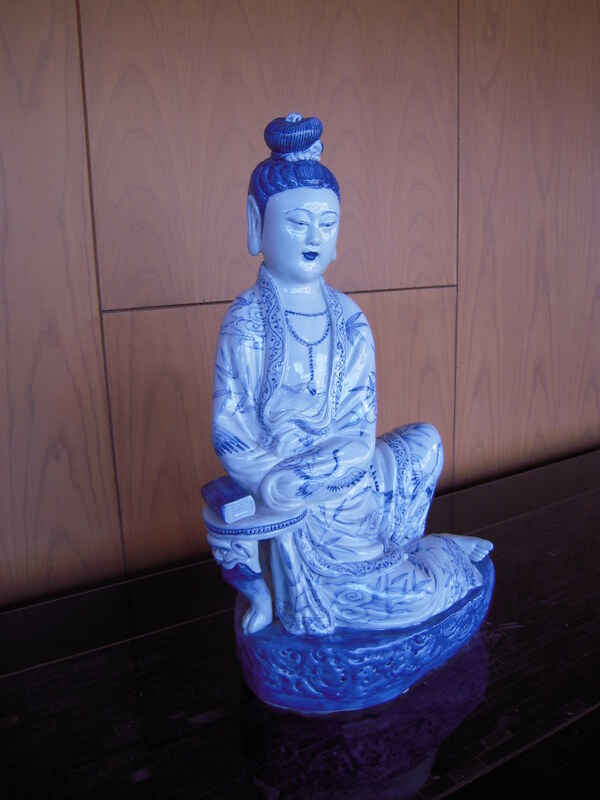 As I travel throughout the world, it is hard to forget that we are all One, all needing that touch of human kindness and compassion that Kwan Yin offers. What a wonderful way to look toward the new year of 2010! There are many “Mother myths” from various cultures and faiths. Some reveal the mother as nurturing, maternal, care giving, full of a feminine mystery and power. Other mother myths portray a darker side of motherhood, but I won’t talk about those today. In Jungian psychology, there is the archetype of “Mother,” or the Divine Mother. I will briefly tell you about only a few of these. To start out, there was Mary, Mother of Jesus, who has been called the Christian Goddess of Compassion. She is a universal symbol for motherhood. As a pastor as well as a mother, I could relate to the Christmas story that surrounds the birth of Jesus. I often wonder how she made the trip on a donkey at the time of delivery! 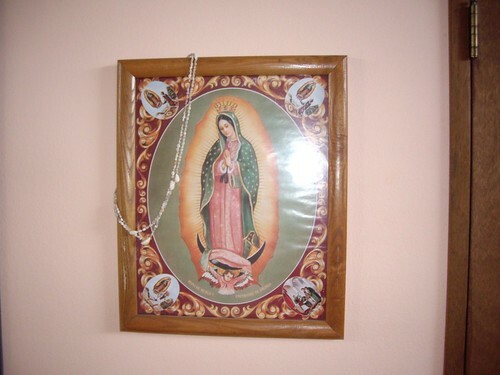 The Virgen de Guadalupe (Spanish for the Virgin of Guadalupe) is considered to be one of the “Black Madonnas.” That’s a story for a later post, but this picture hangs beside my front door. On the grounds of the Waikoloa Hilton Hotel here on the Big Island stands this statue, the ocean creating a wonderful watery backdrop for this Divine Mother. 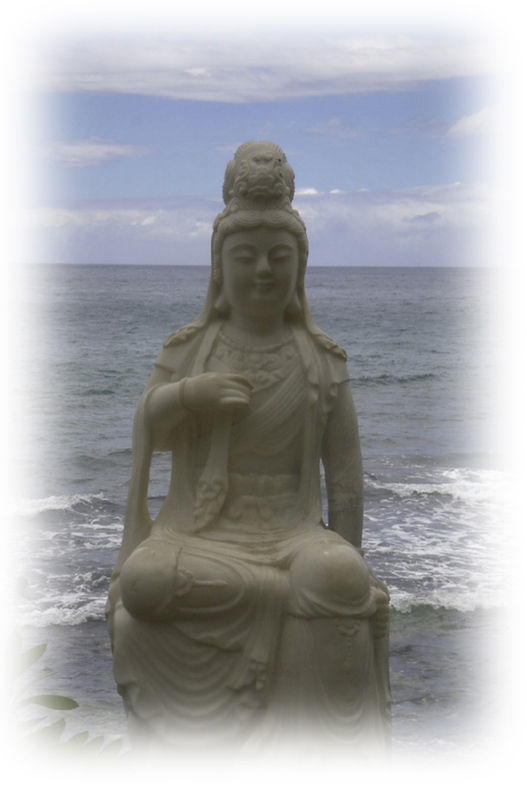 Please check out my brother’s post on Guan Yin today. When I lived in Arizona, I learned of Ha Hai-I Wuhti, the Hopi Divine Mother, who was thought of as the mother of all kachinas. 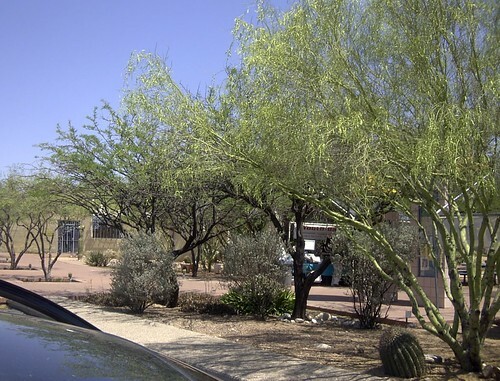 I don’t have a picture of her, but here is a shot taken in Tucson on the church grounds. That earthy picture brings me to Gaia, Greek Goddess we might be more familiar with as Mother Earth, the symbol of a mother who nourishes plants and young children. What better way to show her nurturing than by showing some of the local flowers? 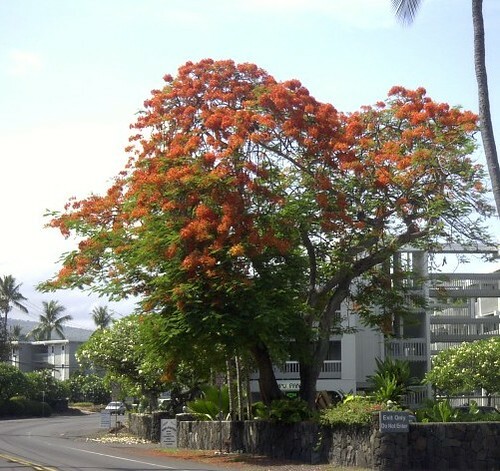 All along Ali`i Drive on the Kona side of the island, and many other places as well, you will see the night blooming cereus. I remember friends in Tucson who sat up all night to see their one plant bloom. Here they are in abundance everywhere and certainly spectacular. 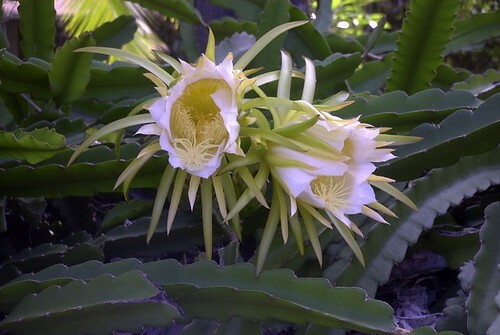 These had bloomed during the night, but I was able to get a shot before they were completely gone the next morning. 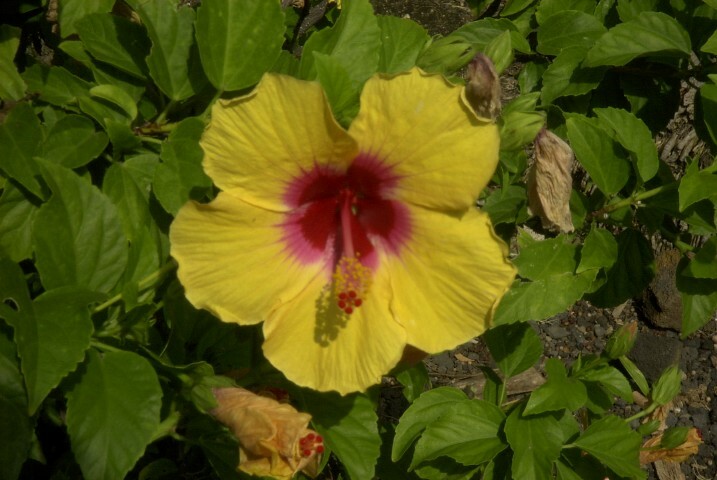 Hibiscus are also everywhere in dramatic colors. 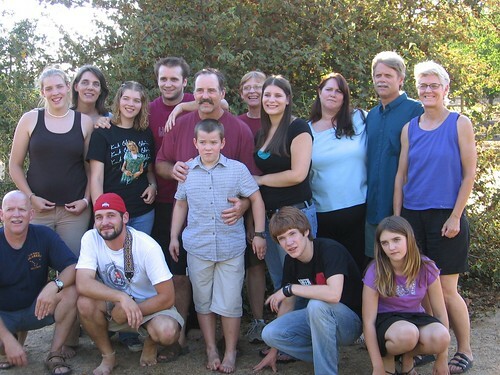 Four years ago, my children got together to celebrate my girls’ birthdays, and also to say farewell to my son who was leaving for his first tour in Iraq. They sent me the picture at the beginning of this post. At first I wondered who all those people were! I thought the shot included friends of my children. 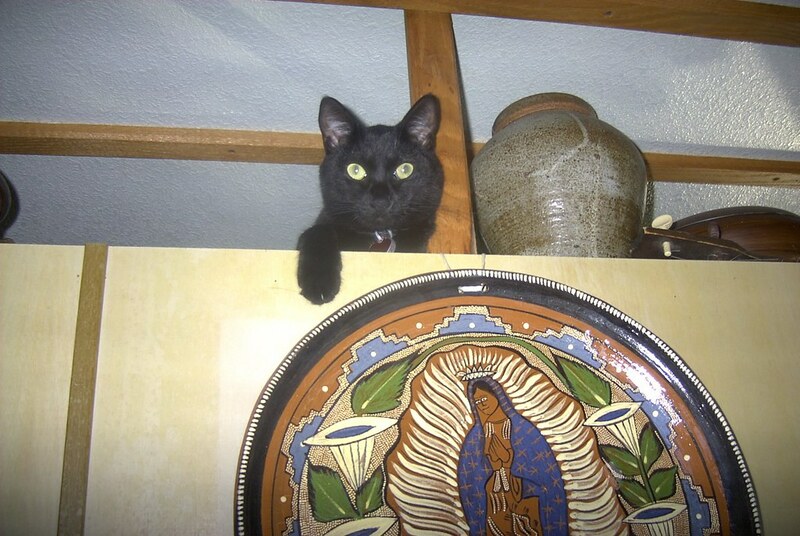 Of course, I can’t forget my “other” child – Mr. Kaimana Kat! Here he is hanging over a large platter that is a painting of the Virgen de Guadalupe. Happy Mother’s Day to all mothers and their children – and especially to my gang! Posted on May 8, 2009 Categories Cats, Cereus, Flame Tree, Gaia, GARDENING, Guan Yin, Hibiscus, LIFE, Mother's Day, Spirituality, Virgin MaryTags Cats, cereus, flame tree, Gaia, GARDENING, Guan Yin, Hibiscus, Mother's Day, Spirituality, Virgin MaryLeave a comment on Happy Mother’s Day!